Point to Point Non AC Vehicle, Twin sharing Accommodation in Hotel/Tent Room, Food will be prepared & provided from Hotel Restaurant as per food plan. (06 Breakfast, 05 Lunch and 06 Dinner will be provided).Entrance Fee at monuments of any place, Guide Fee, Coolie Charges, Rope-way, Speed Boat, Mineral Water, Laundry Charges, Phone, Taxi, Room Service, Insurance of Tourist, Luggage Insurance, Service Tax, Oxygen Cylinder, Internet Charges, WiFi, Tour Manager, Paragliding, Bed tea, Evening tea / coffee, Masala Milk, Horse Riding, Camel Ride, Ice Ski, Tour Manager Charges, Tour Manager, Extra Food Cost which does not include in ticket rate. 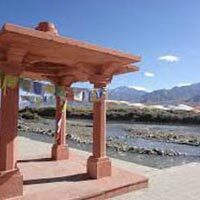 Arrival Leh at Kushok Bakula Rimpochhe Airport situated at height of 11500 Feet by own arrangement. Transfer to Hotel. After Lunch full day rest to adjust the body with Leh’s atmosphere. Night Stay at Leh. After Breakfast, Visit to Gurudwara Pathhar Sahib, Spituk Monastery, Magnetic Hill, Meeting point of Indus and Janskar River Hall of Fame Army Museum which is made by Indian Army, Shanti Stupa, Leh Palace. Free day for Shopping. Night stay at Leh. BreakfastAfter Breakfast, Departure for Nubra Valley located 120 Kms. from Leh. On the way visit to Khardungla Pass, 39 Kms. From Leh, (World’s highest Motorable Road at height of 18380 Feet) on the way visit Snow covered mountains, Karakoram-Ladakh mountain range of The Himalayas and flowing Nubra and Sheyok River. Nubra Valley: (01 Night) (01 Night) (At Height 10100 Feet) Arrival at Nubra. Lunch. Sand Dunes like Desert. Enjoy the ride at Camel having two Humps (At Own Cost). 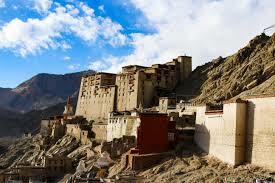 515 Years old Buddhist Diskit Monastery, Pleasant atmosphere at Nubra Valley. Hotel / Tented accommodation in Nubra. 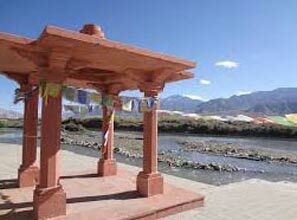 After Breakfast, visit Diskit village, which is the head quarter for Nubra Valley-Hundar. Departure for Leh via Khardungala Pass. Arrival at leh Hotel. Night stay at Leh. After Breakfast, Departure for Pangong Lake which is located 156 Kms. Away from Leh at height of 13930 Feet. 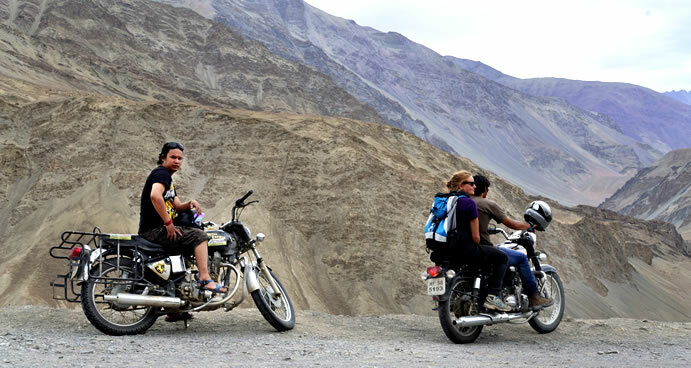 On the way visit world’s third highest motor able road located at height of 17350 Feet. Visit to Changla Pass surrounded by snow covered mountains. Packed Lunch will be provided. Pangong Lake: (01 Night) (Height: 13930 Feet, Length: 150 Kms. and width 4 to 6 Kms.) Two third part of this lake is in China. Enjoy the beautiful photography at this spot and back to Leh. Night Stay at Pangong in Hotel / Tent. 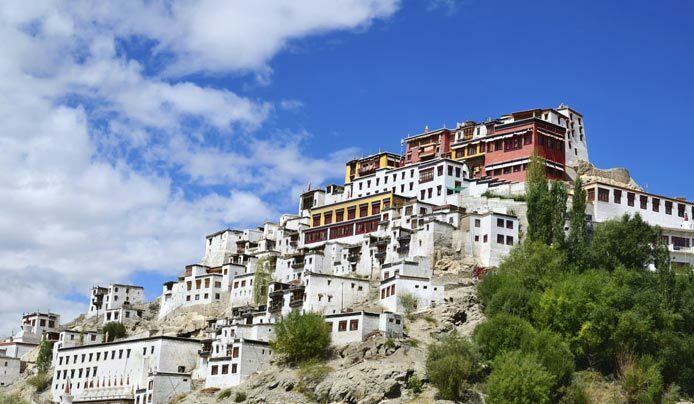 After Breakfast, Visit to Thiksey Monastery, Hemis Monastery, Sheh Palace, Sindhu Ghat. Night Stay at Leh. After Breakfast, Check-out the room at 08:00 a.m. Drop at Leh Airport. Tour Ends. Entrance Fee at monuments of any place, Guide Fee, Coolie Charges, Rope-way, Speed Boat, Mineral Water, Laundry Charges, Phone, Taxi, Room Service, Insurance of Tourist, Luggage Insurance, Service Tax, Oxygen Cylinder, Internet Charges, WiFi, Tour Manager, Paragliding, Bed tea, Evening tea / coffee, Masala Milk, Horse Riding, Camel Ride, Ice Ski, Tour Manager Charges, Tour Manager, Extra Food Cost which does not include in ticket rate.